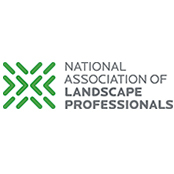 The National Association of Landscape Professionals (NALP) will host its annual Renewal & Remembrance event at Arlington National Cemetery on July 11. Now in its 20th year, this event brings together hundreds of volunteers to help beautify a large part of the cemetery’s historic grounds. Due to the positive impact of several years of lime applications at Arlington, lime isn’t required this year; instead, the scope of work includes phosphorous application, aeration, irrigation installation and repairs, tree cabling and lightning protection, and landscape and hardscape projects. Teams will be using push spreaders and walk-behind aerators to allow application and aeration in tight areas and between tombstones. Renewal & Remembrance is held in conjunction with Legislative Day on the Hill. Legislative Day on the Hill is open to the entire industry, while registration for Renewal & Remembrance is open to NALP members and participation is limited, so early registration is encouraged.